Get Columbia Men's Titan Pass 1.0 Half Zip Fleece (Black / Azul, Collegiate Navy) from Columbia Sportswear. Get Columbia Women's Fairview II Short Sleeve Shirt (Large,Bloodstone) from Columbia Sportswear. Get Columbia Womens Ellis Street EXS Jacket (Multiple Colors) from Columbia Sportswear. 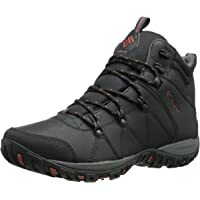 Get Columbia Mens Peakfreak Venture Mid Waterproof Omni-Heat Boots (Black, Sanguine) from Columbia Sportswear. 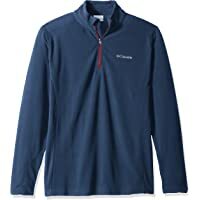 Get Columbia Men's Western Ridge Half-Zip Fleece Pullover (Several Colors) from Columbia Sportswear. Get Columbia Men's Straight Line Insulated Jacket (Cypress, Shark) from Columbia Sportswear. Get Columbia Men's Steens Mountain Print Jacket from Columbia Sportswear. Get Columbia Kelso Drive Full Zip Fleece Mens Jacket from Columbia Sportswear. Discount : $7.40 via coupon "COLAFF65"
Super Hot! 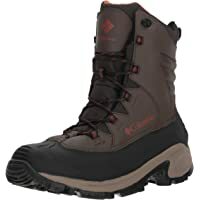 Get Columbia Men's Bugaboot Iii Mid Calf Boot (Cordovan, Rusty/Black, Bright Red) from Columbia Sportswear. Get Columbia Women's Voodoo Falls 590 TurboDown Vest from Columbia Sportswear. Discount : $10.00 via coupon "COLAFF65"
Womens Outdoor Elements T-Shirt II via coupon code "COLMARCH19"
Womens Quail Hollow EXS Capri Pant via coupon code "COLMARCH19"
Men's Western Ridge Full Zip via coupon code "COLMARCH19"
Women's Ellis Street EXS Jacket via coupon code "COLMARCH19"
Womens Meadows Slip-On Omni-Heat 3D Boot via coupon code "COLMARCH19"
Get Columbia Womens Minx Shorty III Ankle Boots from Columbia Sportswear. 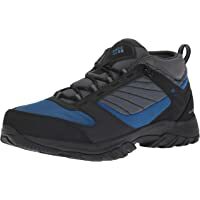 Get Columbia Mountain Masochist IV Men's Trail Shoes (Phoenix Blue/Zour) from Columbia Sportswear. 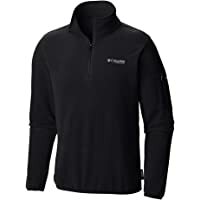 Get Columbia Men's Mountain Side Fleece (Black/Shark) from Columbia Sportswear. Discount : $6.00 via coupon "COLMARCH19"
Get Columbia Women's Maunch Lake EXS Trench Coat from Columbia Sportswear. Discount : $8.00 via coupon "COLMARCH19"
Get Columbia Mens Park Range Insulated Pullover (Large,Red Element) from Columbia Sportswear. Get Columbia PFG Harborside Diamond Quilted Womens Vest from Columbia Sportswear. 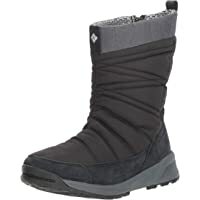 Get Columbia Women's Meadows Slip-on Omni-Heat 3D Mid Calf Boot from Columbia Sportswear. 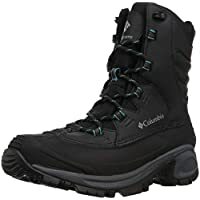 Discount : $13.00 via coupon "2FEB60"
Get Columbia Men's Peakfreak Venture Waterproof Trail Sneaker (Cordovan, Squash) from Columbia Sportswear. Get Columbia Men's Royce Peak Sun Pants (Grill) from Columbia Sportswear. Get Columbia Mens Whitlock Sound EXS Jacket from Columbia Sportswear. 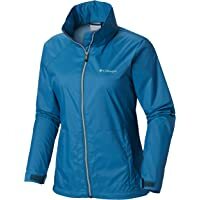 Discount : $17.00 via coupon "2FEB60"
Get Columbia Womens Sleet to Street Interchange Jacket from Columbia Sportswear. Get Columbia Womens Anytime Casual Stretch Shirt (Astral) from Columbia Sportswear. Get Columbia Wild Card Mens Insulated Ski Jacket from Columbia Sportswear. Get Columbia Girls Glacial Fleece Half Zip Jacket (Pixie, Emerald) from Columbia Sportswear. Get Columbia Terrebonne II Men's Omni-Tech Shoes (Graphite, Lux) from Columbia Sportswear. Get Columbia Mens Klamath Range Half Zip Fleece (Gray) from Columbia Sportswear. Get PFG Harborside Fleece Pullover Mens Jacket from Columbia Sportswear. Get Columbia Men's Outdry Hybrid Jacket (Columbia Grey, Titanium) from Columbia Sportswear. Get Columbia Boys Raincreek Falls Jacket (2 Colors) from Columbia Sportswear. Get Columbia Women's Switchback Lined Long Jacket with Waterproof Shell from Columbia Sportswear. Get Columbia Ryton Reserve Softshell Mens Jacket (Red) from Columbia Sportswear. 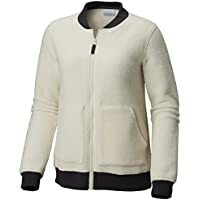 Get Columbia Women's Carson Pass Interchange Jacket (Multiple Color) from Columbia Sportswear. Get Columbia Men's Bugaboo 1986 Interchange Jacket (Blue Macaw) from Columbia Sportswear. Get Columbia Men's Peakfreak Venture Low Suede Waterproof Hiking Shoe from Columbia Sportswear. Get Columbia Men's Steens Mountain Printed Fleece Vest from Columbia Sportswear. Discount : $4.40 via coupon "COL19FEB60"
Get Columbia Hawks Prairie Hybrid Womens Jacket (Black) from Columbia Sportswear. Get Columbia Sharptail Mens Short Sleeve Shirt (Flax) from Columbia Sportswear. Get Columbia Women's Mighty Lite Hooded Jacket from Columbia Sportswear. Super Hot! Lowest Ever! Get Columbia Women's Out and Back Interchange Jacket from Columbia Sportswear. Discount : $22.00 via coupon "STAYWARM"
Super Hot! Lowest Ever! Get Columbia Kids Shark Trek Interchange Bunting (Infant) from Columbia Sportswear. Discount : $33.34 via coupon "STAYWARM"
Get Columbia Men's PFG Bonefish Long Sleeve Shirt from Columbia Sportswear. Discount : $39.70 via coupon "STAYWARM"
Get Columbia Highland Gem Full Zip Hoodie from Columbia Sportswear. Discount : $7.00 via coupon "STAYWARM"
Get Columbia Ascender Hooded Softshell Men's Jacket (Collegiate Navy / Boulder) from Columbia Sportswear. 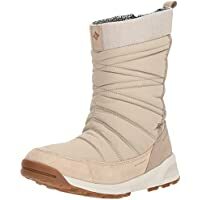 Get Columbia Womens Meadows Slip-On Omni-Heat 3D Boot (Several Colors) from Columbia Sportswear. Get Columbia Womens Arcadia II Rain Jacket (Bright Lavender) from Columbia Sportswear. Get Columbia Womens Pike Lake Hooded Vest (Several Colors) from Columbia Sportswear. Get Columbia Men's Wilshire Park Hybrid Jacket (Several Colors) from Columbia Sportswear. 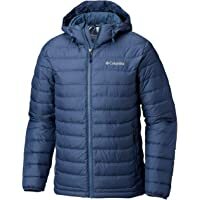 Discount : $9.98 via coupon "STAYWARM"
Get Columbia Men's Wilshire Park Hybrid Jacket (Multi Color) from Columbia Sportswear. Get Columbia Men's Mount Tabor Hybrid Jacket from Columbia Sportswear. Discount : 20% via coupon "STAYWARM"
Get Columbia Feeling Frosty Fleece Knit-Trim Jacket (Light Bisque) from Columbia Sportswear. Get Columbia Women's Powder Pillow Hybrid Jacket (Red Mercury, Black) from Columbia Sportswear. Get Columbia Womens Achen Lake EXS Jacket (Bloodstone) from Columbia Sportswear. Get Columbia Womens Pike Lake Hooded Vest (Nocturnal Agate Print) from Columbia Sportswear. Get Columbia Womens Willow Beach Pullover Top (Beta, White Stripe) from Columbia Sportswear. Get Columbia Womens TTIP Glacial 1/2 Zip Top Fleece (Pink Ice Black/Black, Shark) from Columbia Sportswear. Get Columbia Women's Anytime Casual Stretch Shirt (Eve) from Columbia Sportswear. Get Columbia Girls Puffect Jacket (Violet Haze Hthr/Nocturnal) from Columbia Sportswear. Get Columbia Women's Switchback Iii Adjustable Waterproof Rain Jacket from Columbia Sportswear. 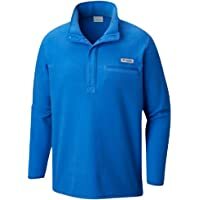 Get Columbia Mens PFG Terminal Tackle 1/4 Zip Pullover (Riptide/White) from Columbia Sportswear. Get Columbia Lash Point Jacket (Multiple Colors) from Columbia Sportswear. 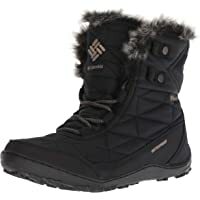 Get Columbia Womens Bugaboot III Boot from Columbia Sportswear. Columbia Sportswear Company has been making gears for more than 70 years. The company is made up of real passionate people who dedicate themselves from the bottom of their heart. Their committement for designing innovative and functional products in a wide range for greater comfort and protection is incomparable. The product range includes bugaboo, jackets, pants, fleece, boots, and shoes. The testing of every product is done very tough of for longest durability and enjoyment. High quality, Versatility and durability are important aspects of their culture at an accessible price. They are committed to building a company of which they can all be proud of as one of the most trusted company. They have set a very high standard of responsibility to the community.